Café Opus is the baby sister of the long-established, rather refined Opus restaurant on Cornwall Street in the city centre. The well-known restaurant, which is just behind Colmore Row, has taken a leaf out of fellow restaurant Purnell's book (who also run Purnell's Bistro), and opened a smaller, more casual venue on Broad Street. 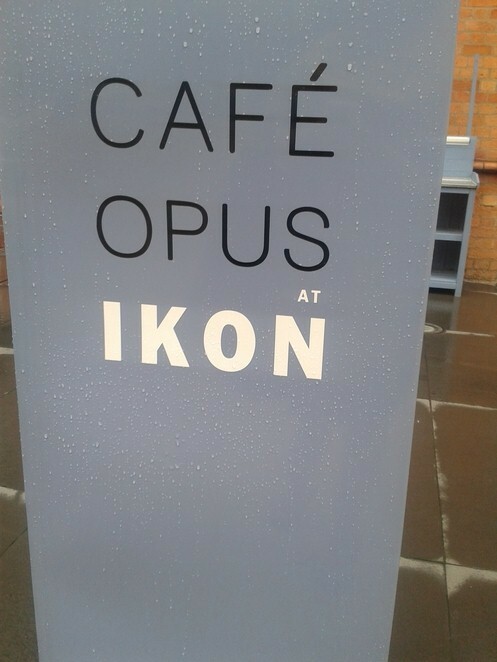 Café Opus seems to have gone one better however, and housed their new caff in Ikon Gallery. So, you can eat posh nosh, sip on a creamy Bellini, and muse over the work of a new artist. How very cultured. They've tried to make it a café, but it is more of a polished version as you might expect from owner Michelin star chef Brad Newman. The menu has been created with the customer in mind, and offers some mouth-wateringly good food at reasonable prices. Considering the prices and reputation of the restaurant, it comes as a welcome surprise that Cafe Opus is somewhere you can sit and enjoy a simple brew of fancy coffee. That said, only drinking tea would be a wasted trip; visit Café Opus when you are hungry, hungry for some very nice food. 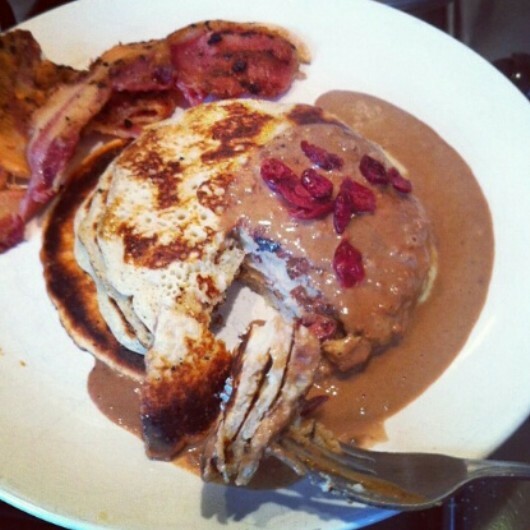 All of the meat used is free range and all fish is caught from sustainable sources. I like to know such facts about the food I'm about to eat, which sets this place apart from other cafés in the city. It still typifies a fine-dining experience with an emphasis on freshness. I love the breakfast menu, which includes buckwheat pancakes, corned beef hash and the brilliantly simple egg and soldiers. It's a great spot for dinner too, even though I've only ever visited during the day. By night, however, I imagine it takes on a whole new vibe, and oozes even more cool than usual. The city centre location makes it more accessible than it's almost hidden big brother restaurant. 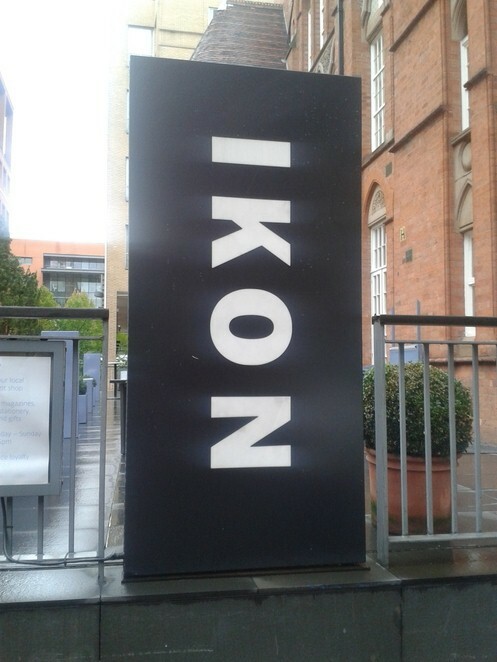 With bright yellow seating on the terrace and a large Ikon sign, you can't miss it. To summarise this wondrous place within a place, Cafe Opus is at the high-end of what may be considered café food. You can't really expect less from chefs who have trained in the fine dining environment. Not one to argue, I've been there three times this month for breakfast and lunch. At £6.50 a meal, you can't go wrong - when the eggs are poached to perfection, and the handmade muffins invite the golden hollandaise, all you can do is smile and chow down.